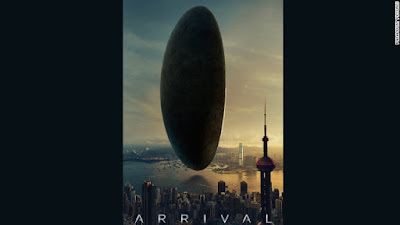 I saw Arrival in San Francisco, but it is playing in Santa Cruz and Scotts Valley, and in Watsonville, Salinas, and Monterey, too. The story is about an alien invasion of Earth, and of our efforts, as human beings, to communicate with these visitors, to find out why they are here. Click the link for a brief movie review that I think does the film justice. I'm just piling on, here, to recommend the movie. 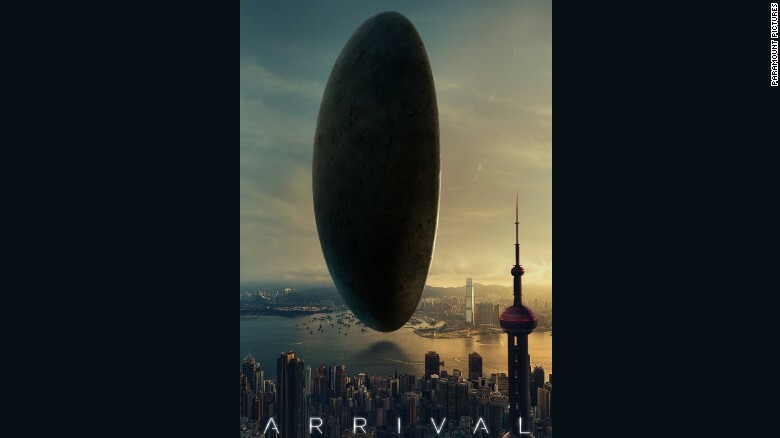 Louise, the heroine of Arrival, who is a brilliantly talented linguist, "comes to realize," as the review informs us, "that merely learning the aliens’ syntax will require changes in our brains — a controversial idea in linguistics but one that’s seen, by its partisans, as bringing us closer to a unified theory of matter. Chiang wants to move the sci-fi border in the direction of quantum physics." This is a movie worth seeing. This is an idea worth considering!